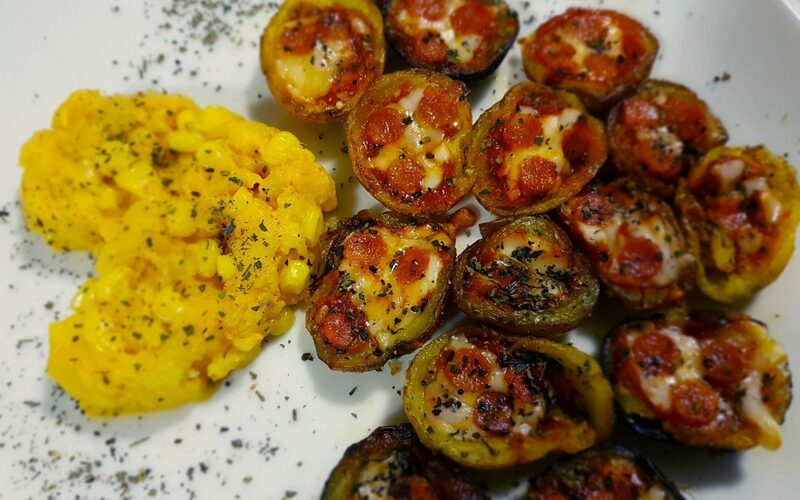 These potato pizza bites are delicious! 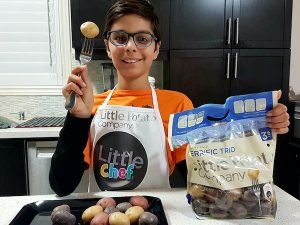 In Rome, Little Chef Arnav learned how to make pizza from scratch, and that inspired him to create this recipe! Prick the Little Potatoes with a fork. Microwave them for about six minutes turning them half way. After they cool down, cut them in halves. Scoop out potatoes leaving some to the skin. Bake them for about 10 minutes in preheated oven on 350°F.